Included a data type for time, date, and time interval, and the ability to perform mathematical operations on these data types. It’s small wonder that these items when offered on eBay can fetch up to $5,000 – they are true museum pieces, representatives of the headlong technological rush towards smaller and faster. 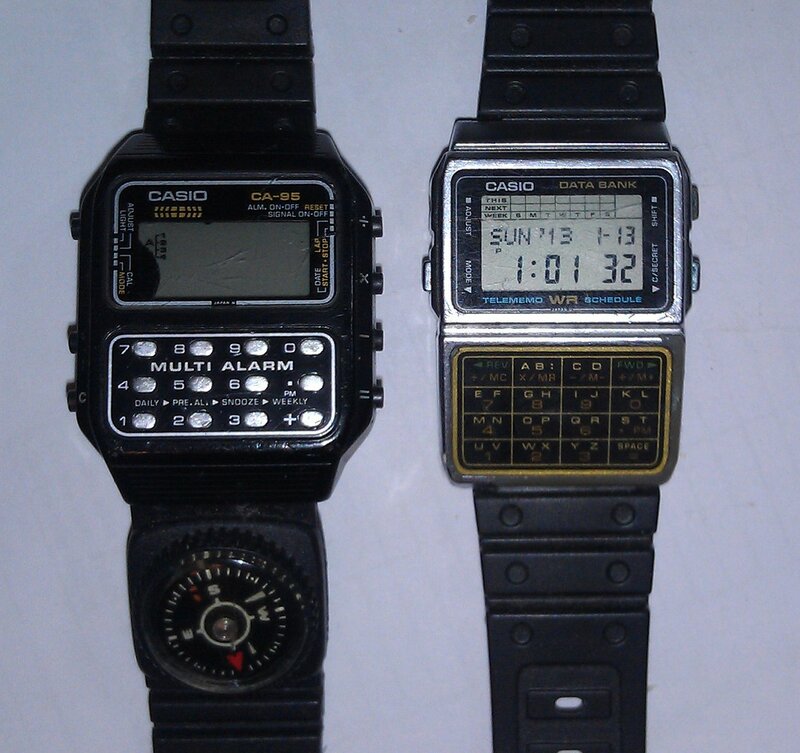 I have a small collection of the watches I have owned over time, and one of my favorites is the CA-95, Casio’s calculator watch with multi-alarms, shown at left below. Click through to hear it play. 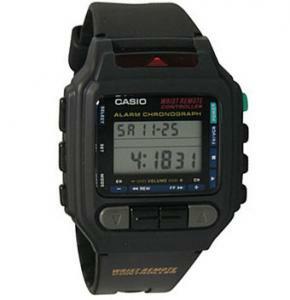 Before the advent of PDA’s and smartphones, a watch like this was one way a g33x0r could satisfy his itch for technology, and by the 80’s, Casio had refined the circuitry to a point where the DataBank watch on the right, which carried large numbers of memos, appointments, and phone numbers, as well as multiple stopwatches, timers, world time clocks, and alarms, sold for about $65.00. They still sell versions of this watch. You’ll notice that mine is still running – but sadly the case has broken and won’t hold a pin on one side, or I’d still be wearing it. I gave this watch to my younger son, and after he got tired of it I claimed it back. Now, of course, most of the remote codes it contained are out of date, but it’s biggest draw was being able to surreptitiously change the channels on annoying TV’s in public places. But back to the CA-95: I bought mine in Hannover airport on my way home from CEBIT 1983. 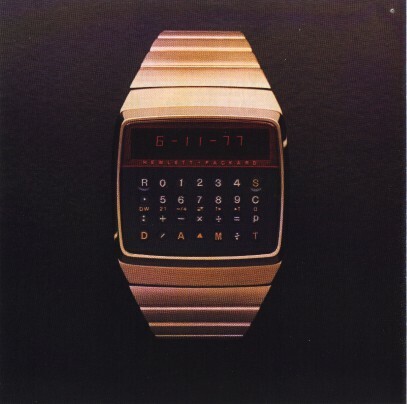 I loved this watch, as in addition to the various calculator and timer and stopwatch functions, it had four different musical alarms. One was “Scarborough Fair,” and the other was “The Syncopated Clock.” It had circuitry to give the alarm sounds pitch variations and reverb, and included fairly robust speaker in the back, such that the alarms sounded much better than your typical modulated computer beep. Despite the damage to the LCD, mine still works – sorta. They’re a bear to take apart and put back together again because of all those little buttons, but I loved it so much that I may take it up to CSS in Salt Lake and see if they can get it up and running again. 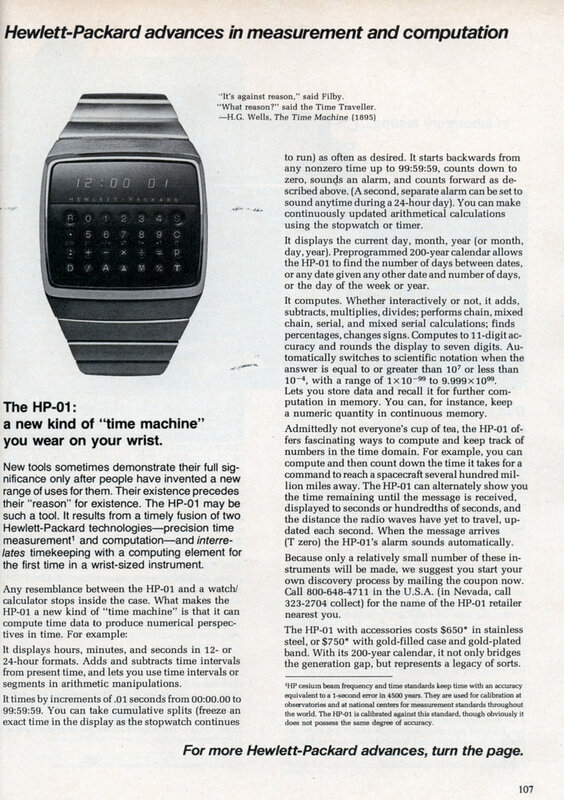 This entry was posted in Retro Technology and tagged Digital Watches. Bookmark the permalink.